Alstom has received its first order for their fully electric Aptis bus in tram design. 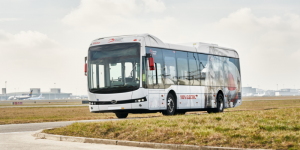 The Strasbourg transport company CTS has ordered a dozen of the 12-metre buses, which have three doors and are to be charged overnight in the depot. 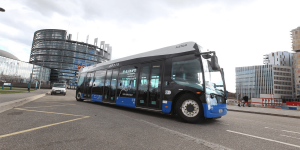 BYD has equipped Brussels Airport with 30 electric buses. The first 12-metre buses have already been put into service. The delivery also included 30 charging points with which the electric buses can be charged overnight in the terminal. 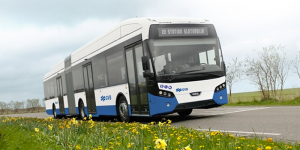 Qbuzz, the public transport operator in the Dutch provinces of Groningen and Drente, have ordered no less than 160 electric buses. 60 should come from Ebusco, 45 from VDL and 55 from Heuliez. The buses should be in service from mid-December. 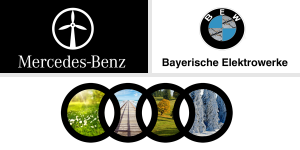 The EV100 initiative of the Climate Group organisation has received four new members, namely the Swiss Post, Austrian Post, Portugal’s EDP and Meridian Energy from New Zealand. They all pledge to further electrify their service fleets by 2030. 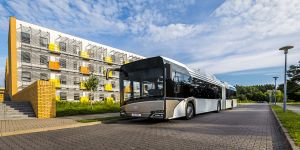 The Berlin-based public transport operator BVG is entering the next phase of electric bus procurement and ordered fully electric articulated buses for the first time. After the BVG Supervisory Board recently approved the award of the contract and the objection period has expired, Solaris has now been awarded the contract. For the incoming start of the 2019 electric scooter season, the German sharing provider Coup is opening the service to more users. 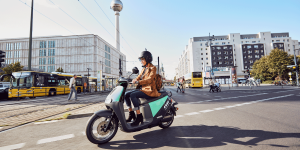 Also, a total of 1,500 additional electric scooters will be on the roads in Berlin, Paris and Madrid – a 40 % boost from before. 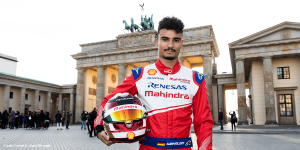 If you keep your eyes peeled when walking around Berlin, you may now discover the vanguard of a new car-sharing fleet. 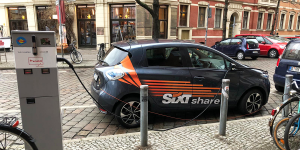 Sixt Share is already in the starting blocks. We were able to find several electric cars from the new provider at charging stations in the German capital. 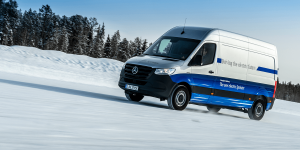 BMW and Daimler have now combined their mobility services as announced. 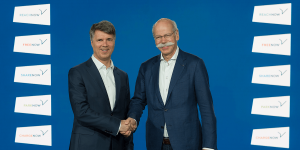 The two companies are investing more than one billion euros to expand further and closely interlink their existing car sharing, namely Car2Go and DriveNow as well as ride-hailing, parking, charging and multi-modality services. Scania and Scandinavian public transport operator Nobina have started preparations for a trial with fully autonomous electric buses to begin in 2020. Two Scania Citywide LF electric buses will be tested on a stretch of regular road in Stockholm. 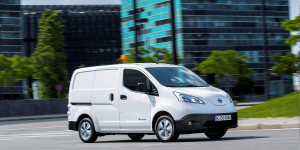 An Post, the state-owned provider of postal services in Ireland, plans to purchase 750 electric vehicles by 2022, of which 200 will be on the roads this year. All deliveries in central Dublin are to be a 100% electric by the end of 2019 with other urban areas of Ireland to follow suit. 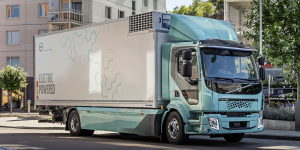 Volvo Trucks has started delivering its first all-electric trucks. These include a garbage truck for the waste and recycling company Renova in Hamburg, Germany and a distribution truck for the Swedish Schenker service provider TGM. The PSA Group is adding new features to its Free2move mobility service for electric vehicle users. The new ‘Charging Pass’ feature helps to locate and unlock over 85,000 charging stations in Europe. There is also a novel route planner designed for electric cars. 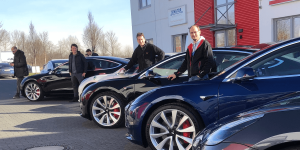 The electric car rental service Nextmove of Germany has added the first four Tesla Model 3 to their fleet in Berlin. 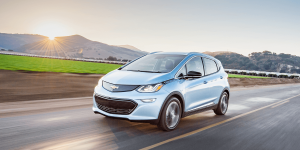 During this year, Nextmove plans to add another 100 Tesla electric cars and to make them available at all their rental stations. 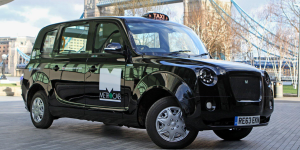 Sadiq Khan, the Mayor of London, has announced plans to invest an extra £24m to help more black cab drivers switch to electric vehicles. The plans will more than double the TfL’s existing £18m fund. Additionally, grants will be restructured to provide more payments at higher levels. The ride-hailing company Lyft plans to add 1,000 electric vehicles to its platform this year and will make it easier for riders to request them through Green Mode. 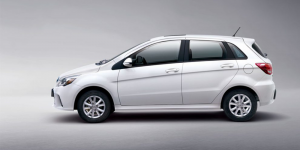 Selecting that option, passengers will be able to choose between hybrid or electric vehicles. 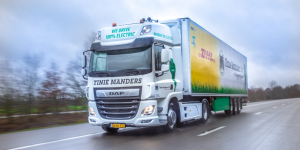 Following the handover of the first CF Electric to the Jumbo supermarket chain, Dutch truck manufacturer DAF Trucks has now delivered another fully electric truck to Tinie Manders Transport, also based in the Netherlands. Hyundai is considering introducing its own car sharing business for its electric cars. 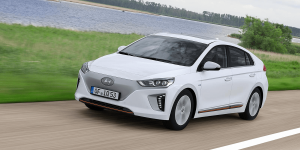 For the use of an EV in a Hyundai fleet, users would pay tariffs according to the distance travelled, time in use, or energy consumption. 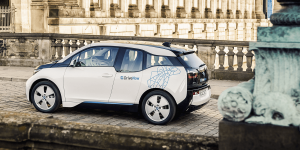 The BMW subsidiary car-sharing service DriveNow has announced that they have expanded their London fleet by another 130 new i3s, as part of their plan to become “an 80% all-electric club by 2025”. 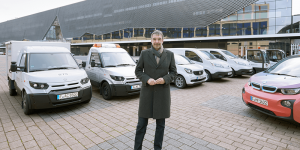 The fleet now consists of 180 electric vehicles in nine London Boroughs. 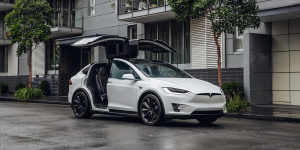 A new service called Driven operates a fleet of Tesla Model X SUVs to serve airports in the UK. The seven-seaters can be booked exclusively or on a rideshare basis with other passengers who live or work near to cut costs significantly. 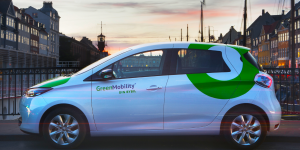 The Danish carsharing company GreenMobility wants to bring a fleet of 400 electric cars to the Irish capital this year. 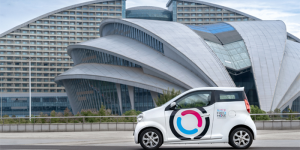 The service will meet competition in Dublin but will be the only carsharing that is EV-exclusive and with a fleet free-floating within the city limits. 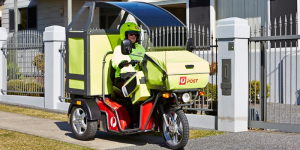 Australia Post has bought another 1,000 electric three-wheelers, making them the nation’s largest electric vehicle fleet operator. They also ordered an additional 4,000 pedal-assist bikes. Delivery is planned over the next three years and to begin this June. 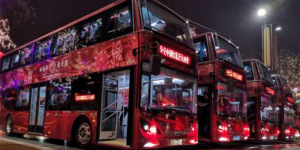 The world’s largest fully electric double-decker bus fleet is currently being launched in the Chinese city of Xi’an. The fleet consists of 200 BYD K8S double-decker buses that will serve six city bus routes. More than 3,000 of the manufacturer’s electric buses are now in service in Xi’an. 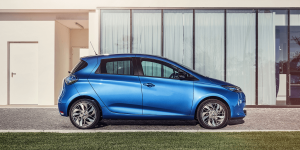 Europcar has added an additional 85 Renault Zoe electric vehicles to their fleet in the UK. Some of the vehicles are destined for the E-Car Club, a car-sharing business by Europcar, as well as collection and delivery operations. 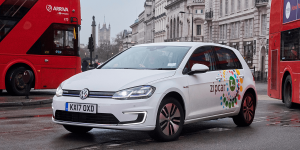 Car club Zipcar says it runs the UK’s largest electric vehicle fleet in London using Volkswagen electric vehicles. And, since the offer has grown to include a total of 325 e-Golf since summer last year, Londoners have shared the electric cars rather eagerly. 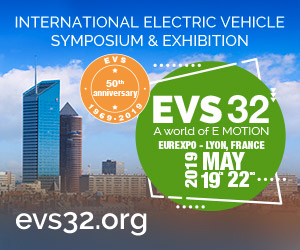 In addition to its existing e-vehicles, Messe Frankfurt is now also using three StreetScooters electric vans as part of a two-year test run. 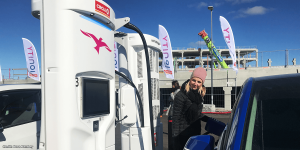 The charging infrastructure will be provided by the trade fair with 13 charging stations on site for both exhibitors and visitors. 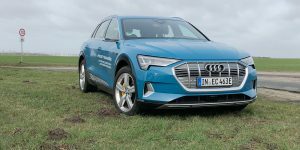 This year’s World Economic Forum in Davos has just started, and 50 Audi e-trons are being provided for participants. 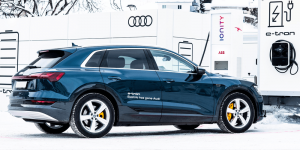 The cars can be charged at a total of 31 ABB rapid charging stations operated by Ionity or three mobile Audi charging containers. The Flemish government is now organising a group purchase with extensive discounts to promote the use of electric cars in said region of Belgium. 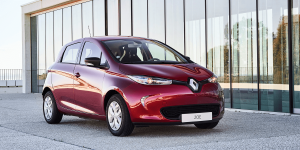 Interested parties have a choice of Nissan Leaf, Renault Zoe, Hyundai Kona Electric and Peugeot iOn, all offered online. 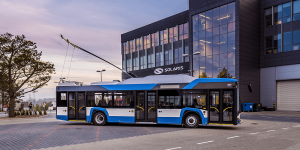 Solaris Bus & Coach has received its first order to supply electric tram buses to France. The Polish manufacturer will deliver a total of 22 Trollino buses to Saint-Étienne by 2022. The deal values 17 million euros and includes an option for two additional trolley buses. 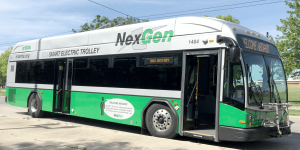 Kiepe Electric, a subsidiary of Knorr-Bremse, is equipping an additional 15 electric buses in Dayton, Ohio with its in-motion charging technology IMC. 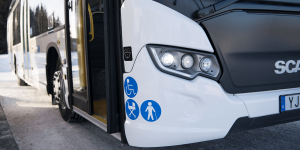 It enables buses to charge through overhead lines while driving and to simply switch to battery power when driving in areas without powerlines.